Formed May 1942 in Central Russia from Kommandeur der Luftwaffe Armee-Oberkommando 11, with Stab, a Stabs-Kompanie and a Ln.Betr.Komp.(mot.). The Stabs-Kompanie was formed from 6. (H)/Aufkl.Gr.12, and was disbanded May 1944. Formed 1 Feb 1944 in Herzogenaurach from 5.(H)/Aufkl.Gr.11. 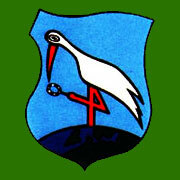 Formed 1 Feb 1944 in Straubing from 11./Aufkl.Gr.13.